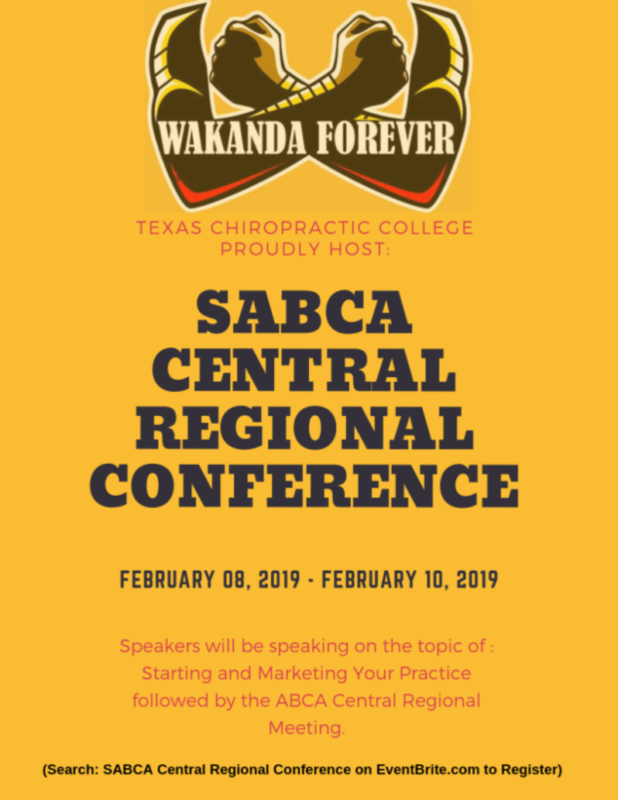 The 2019 Central Regional conference was held under the leadership of Dr. Jerri Johnson (Central Region DC Representative), and Future Dr. Antoine Wright (Central Region Student Representative) at Texas Chiropractic College. It was a great opportunity to network with students and doctors, share knowledge and get new knowledge, and reconnect with those from the National convention! 3 different speakers covered the topic of “Starting and Marketing Your Practice.” The evening of 02/09/18 was a Wakanda themed Soiree to end the conference.